Ever thought of giving your corporate events a bit of flair by hiring a professional corporate magician to entertain and amaze your guests? I can adapt my performance to suit any corporate event situation, whether it be performing to a group or large crowd on a stage or performing more intimate close-up magic from table to table. Based in London, I mainly provide corporate entertainment in and around London and the southern counties, including Surrey, Essex, Hampshire, Dorset, Kent & Sussex; if you are planning a corporate event elsewhere and are looking for entertainment then please do contact me for availability and cost. Perhaps you’re organising a staff event; a Christmas party or a dinner to end a long and intense training session? I can offer some lighthearted entertainment by circulating around the guests and perform my signature close-up magic tricks; this is a great way to break down any barriers, great fun and definitely a bit different! Imagine the number of visitors at trade shows; now imagine having the ability to capture the attention of these visitors…with a magician or illusionist performing at your stand, you offer something unique and captivating to not only draw visitors but also increase dwell time, giving you that all-important opportunity. 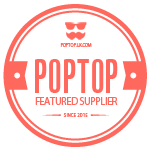 I can also personalise my Tricks to your business whether it be using your logo, tag line – the ideas are limitless! 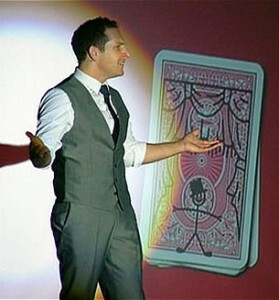 Would you like the perfect magic show tailored to your organisation? Maybe magic based on a logo, a product or even have the CEO of your company literally appear on stage in a car??. With years of experience in stage illusion and comedy magic, everything is possible! Please feel free to contact me if you would like to discuss anything or enquire about availability and pricing.